Dating back as far as 1906, beginning in a small, rural community in St. Louis, First Bank’s 100-year family history of ownership is an asset not many banks can tout. This culture of long-standing family ownership certainly sets First Bank apart from its counterparts in the financial services industry. And, although it has grown to be one of the largest family-owned banks in the country, the steadfast commitment to serving their clients—and treating them like family—still remains the same. Lancaster Pollard is an industry leader, helping health care, senior living and housing organizations expand and improve their services by providing financial advice and financing solutions. 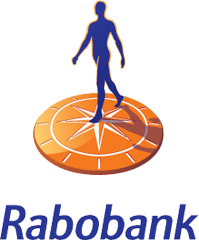 Rabobank N.A., a unit of Rabobank Group, is an award-winning bank known for community focus and personalized service. With approximately $15 billion in assets, the bank’s more-than-100 branches, multi-function ATMs, and innovative online and mobile banking services empower customers to bank when, where and how they want. Rabobank has more than 1,500 employees who take pride in helping to improve their communities personally and professionally.